When you start plants from seeds one of the most important things you want to achieve is a very high and fast germination rate. However if you try to do seed germination without any additional effort you will most likely reach sub-optimal results since there are some natural factors that hinder seed germination that need to be eliminated in order to achieve the best possible results. Today we are going to talk about five things you can do in order to provide the best conditions for the germination of your seeds. Temperature is very important. When doing seed germination one of the most critical factors is seed temperature. Some plants require cold temperatures to germinate - for example spinach's germination rate drops to about half when you go from 15 to 25°C - while other plants require higher temperature - for coriander it's basically the opposite. For your seedling emergence rate to be as high as possible ensure that you are giving them the temperature they ideally want, which depends on the plant species. 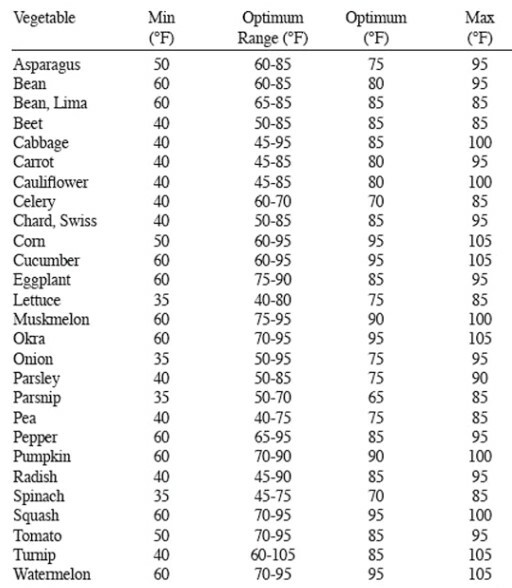 Below you can see a table with germination temperatures for several plant species. Pretreat seeds with PEG-6000. Polyethylene glycol treatments can dramatically increase seed germination rates (see here). We have known this since the mid 1970's and we have also known that the optimum treatment duration and air-drying effects change according to plant species. Applying a general PEG-6000 treatment, as a I described here a few years ago, might or might not work depending on the plant you're trying to work with. For best results you need to search the scientific literature for the best PEG-6000 treatment or - if this information is not present - design your own experiments to figure this out. Seed disinfection. Seeds are usually covered in microorganisms that can seriously impair seed germination rates. 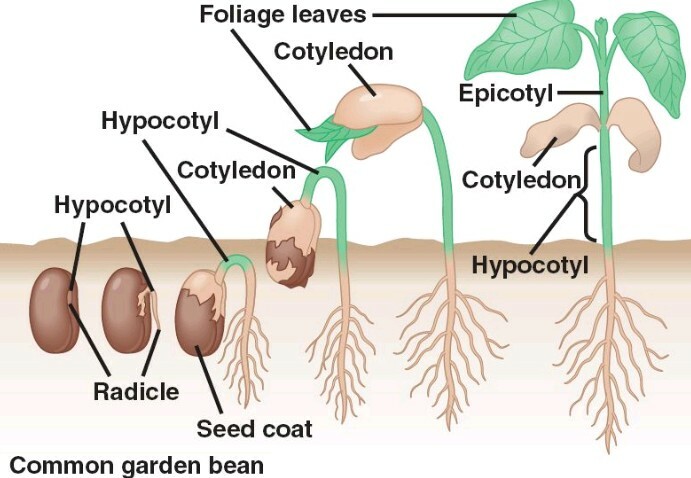 In order to eliminate this issue seeds need to be disinfected prior to germination with a chemical agent (most commonly either hydrogen peroxide or sodium hypochlorite solutions). For this purpose solutions in the order of 0.1-2% NaClO are generally used with different soaking times varying between different papers. You can read more about this sort of process here. Treatments are usually quick with disinfection lasting only a few minutes with subsequent plain water baths to eliminate any excess oxidant. Introduce some good guys. In the same way that there are pathogens that can hinder seed germination there are some "good guys" that can stimulate seed germination. In particular there are trichoderma species that have been known to increase germination rates for some plant species. For example in this paper using okra (see here) there was an important increase in germination rates when using T. harzianum as a beneficial fungi. You should look for some scientific literature surrounding the species that interest you or - if that's not available - apply a product that contains a few trichoderma species. Using GA3 for stimulation. The final trick in your arsenal to increase germination rates is to use Gibberellic acid to stimulate your seed germination. Optimum concentration of gibberelic acid, treatment lengths and effects depend fundamentally on the plant species used but this is acknowledged to be a quite universal stimulant for seed germination rates in the general scientific literature. You can read this paper to see the effects of gibberelic acid on a wide variety of species found in western Australia (so that you can grasp how different its action can be). 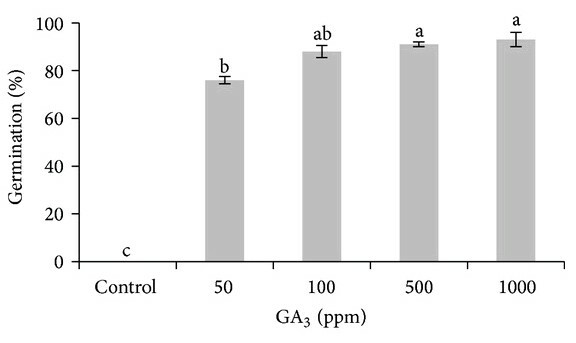 For particular species you can find articles like this one - for tomatoes - where different GA3 concentrations are tested to figure out the best application rate. The effect can be quite dramatic as in the image below (taken from this paper). In the end there are many things we can do to improve seed germination and the above is by no means an exhaustive list. For particular plant species there can be other tricks - for example things like scarification - which can lead to important improvements in germination rates as well. However the above advice is quite general and can probably help you increase germination rates for a wide variety of plant species.